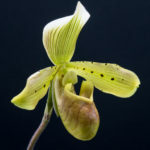 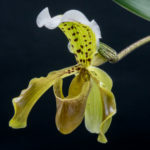 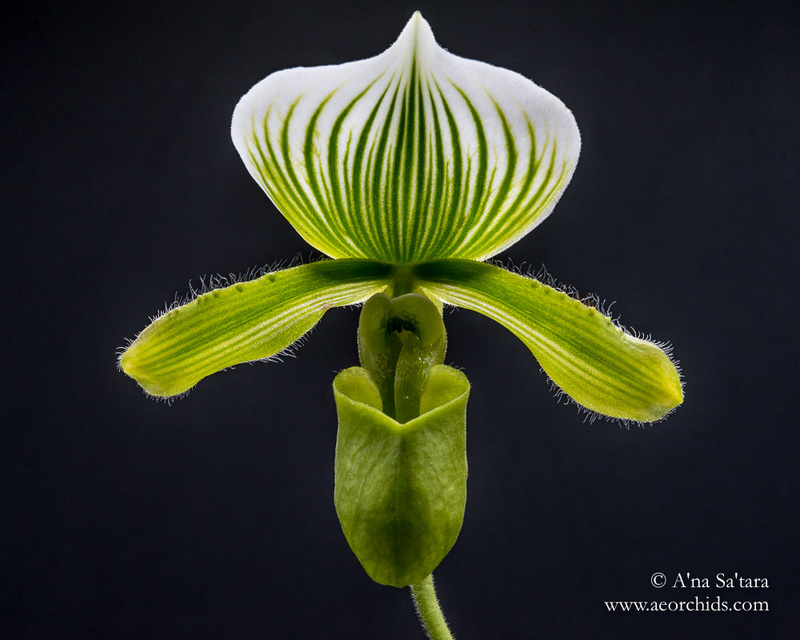 Reflecting my love of album Paphiopedilum, Paphiopedilum lawrenceanum var. 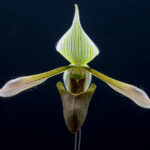 hyeanum is a joyful addition to our orchid family. 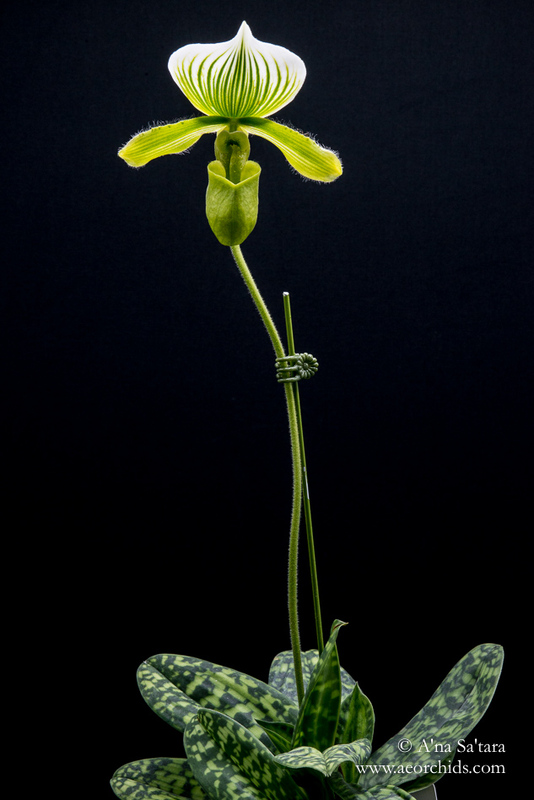 This warm to hot growing species is found in Borneo, at lower elevations, in leaf litter. 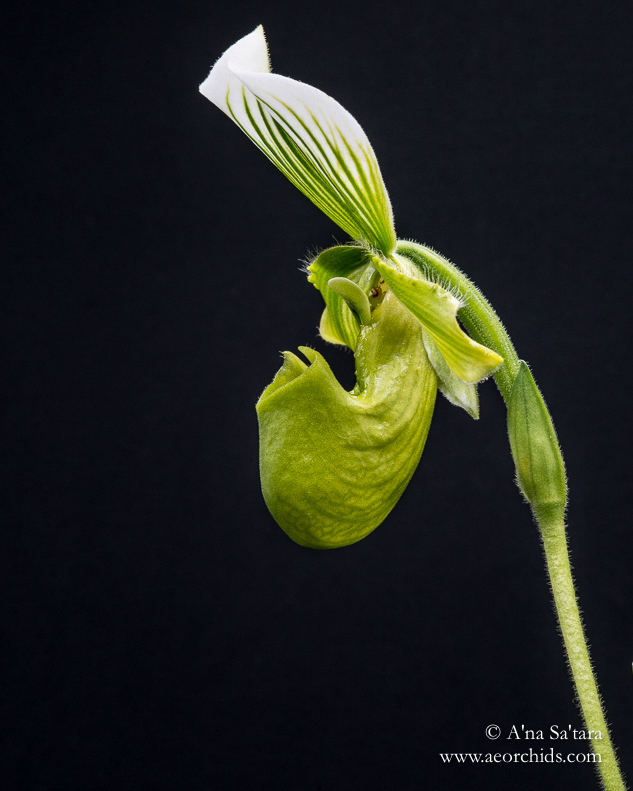 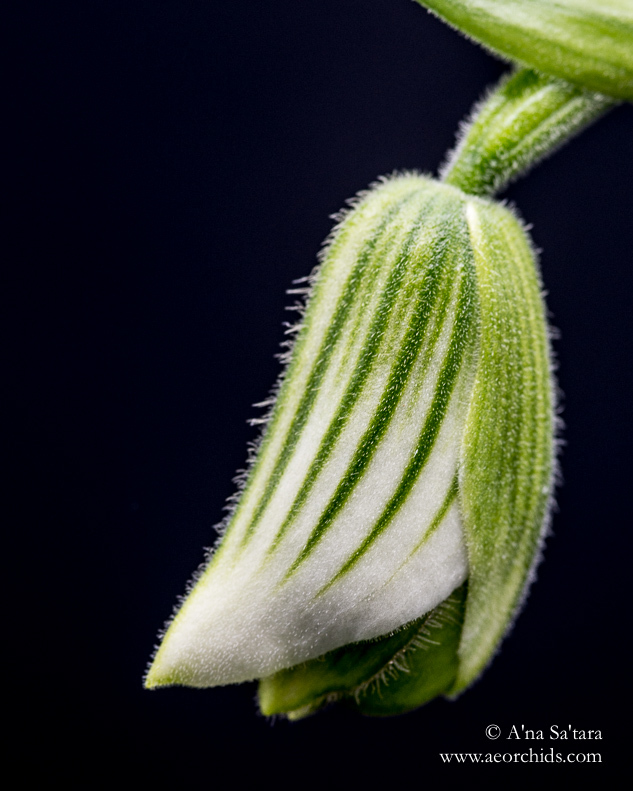 While the plant itself is relatively small (12″ or 30 cm leaf tip to leaf tip), the flower stalk is even taller, about 14″ or 35cm on this multi-growth plant.